Mr. Maloney, 54, is a founder and principal of the Property Markets Group, a real estate acquisition and development firm specializing in residential projects in New York, South Florida and Chicago. The company often works in partnership with other developers. Q. How do you share responsibilities for running the company with the other principal, Elliott Joseph? A. I’m more involved in the acquisition and construction side. Elliott’s more of a deal guy. The firm used to be Gary Barnett, now of Extell Development; Ziel Feldman, now of HFZ Capital; and I; and then Elliott. Gary left in ’95; Ziel left in 2005. Q. You’ve since done deals with Mr. Feldman. Do you still stay in contact with Mr. Barnett, who’s best known for the development of One57? A. Gary Barnett and I are still friends. Gary really doesn’t like partners. He wanted to go off on his own and do his own thing, and he’s done that. He’s made 57th Street successful. He took a huge risk and deserves all the credit. Q. 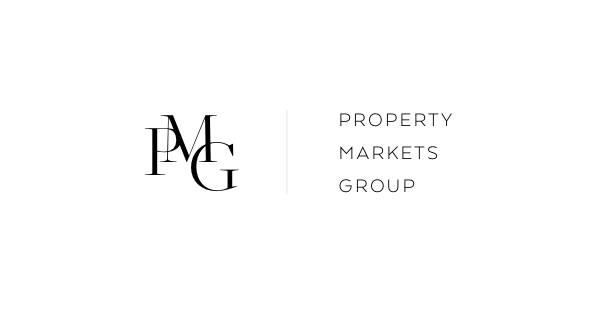 Why is the Property Markets Group involved in so many partnerships? A. Many of the projects we end up doing were brought to us by people who had trouble getting over the finish line. We bring some equity to the table, and there’s a little more history with us to get these buildings built, so it’s been very beneficial for both parties. Q. Your portfolio these days is mostly residential. A. Everything we do is residential in nature, and it has an exit. So it’s either an exit as a condominium, and we sell it, or we’ll rent it up and sell it to a REIT or a third party. We don’t want to be long on real estate. A. It’s just because the use of the capital and the returns we can get. For instance, we’re about to build a building in Queens Plaza for 400 units. We’re probably going to come out of ground at the end of the year. That would not be held, because if we hold it, we end up getting a 10 to 12 percent return on our money, versus if we sell it, we’ll see a capital return rate north of 50 percent, and we’ll reinvest those funds. Q. How is business this year? A. It’s busier than it’s ever been. New York City is booming: there are new benchmarks in terms of condo prices, and the rental market is very strong. In Florida the same thing is happening: the condo market is on fire. Supply is very limited, and that market is probably seeing 30 percent appreciation in the last 12 months. Q. What percentage of your work is in the New York area? A. At this point probably about 70 percent; probably another 20 percent in Florida and 10 percent in Chicago. There are 15 buildings in development or under construction. Q. Let’s talk about the ones in the New York area — starting with Steinway Hall, which you’re purchasing, and your proposed condo and hotel tower on a site adjacent to the building. A. We were ready to come out of the ground right about that time the Steinway building came on the market. We were the best buyers for that building. Without violating the wishes of the Landmarks Preservation Commission we could expand our core, which gave us a potentially taller building, with a much more efficient floor plate. So we stepped up and contracted for the Steinway piece, which we’ll probably close shortly. So obviously we have to go back. We had designed a 700-foot sliver tower, so we’re now going back and redesign. Q. What’s happening at Walker Tower in Chelsea? A. We bought Walker Tower in late 2009, and we began construction in 2010. We were 53 residential units, and we’re now down to 48, because people are combining units. We have eight units left, but two of the eight are the penthouse units, which we held off the market and are not going to bring to market until we’re mostly done with the interiors. Q. Are you still planning to build an 18-story tower in the West Village, on the site of a carwash? A. That’s a project we’re doing with Madison Equities. We hope to get out of the ground on that project at the end of this year. We’re going to mirror to some extent the shape of the Flatiron Building. It’s in keeping with the neighborhood, a very industrial-looking building. It’s a commercially zoned hotel-use site. We’re probably halfway through the B.S.A. process, or Board of Standards and Appeals, to rezone it as residential. We’re proposing a 210-foot tower and several town houses near the Sullivan Street side. Q. There’s a lot of demand for housing in the Village. A. Yes. We think it’s going to be very easy to sell that. Q. Is your next project the Gowanus Canal? A. We have been acquiring several properties up and down the Gowanus Canal, Carroll Gardens. It’s a Superfund site — the soil at the bottom of the canal is contaminated. It’s an M1 zone — heavy metals, heavy industrial. It’s really bordering an encroaching residential zone. I think it really needs to be a residential zone. Q. Were you always interested in real estate? A. Always. I started when I was in college. I bought student housing with my student housing loans. At 18, I owned my first student house near SUNY Buffalo. I ended up owning two duplexes — that’s four units — in one area, and then one unit in another area. Q. Did you live in any of them?